Ok, this is a big question. So many people think different things about amplifying a classical guitar, acoustic guitar or flamenco guitar. The purists don’t want to talk about pickups, transducers or preamps. They just want to preserve the natural sound of the guitar (We all want too) without interfering in the sonic combination of the soundboard and the body of the guitar. For those the answer is a good microphone (Dynamic or Condenser) and a good sound system with a good sound engineer. Of course, mobility is very limited with this option and the dependence of external factors is bigger. If you need to amplify the sound in your classical guitar or flamenco guitar and want to be independent from other equipment and/or people, the answer is to buy an electroacoustic guitar or electro-classical guitar or flamenco electric guitar. There are many good quality electrification systems for acoustic, classical and flamenco guitars in the market and most guitar makers have models with them already installed. Brands like Fishman, Shadow or Roland are present in the best spanish guitars and all of them offer a variety of models for every demand and budget. Since the strings in a classical or flamenco guitar are made of a nylon core and don’t offer a magnetic field like the strings on an electric or acoustic guitar with metal strings we can’t use magnetic pickups on them. Thats why the most popular pickups for nylon stringed instruments are piezoelectric pickups. A piezoelectric pickup uses pressure on a crystal or piezo ceramic material to generate voltage variations. 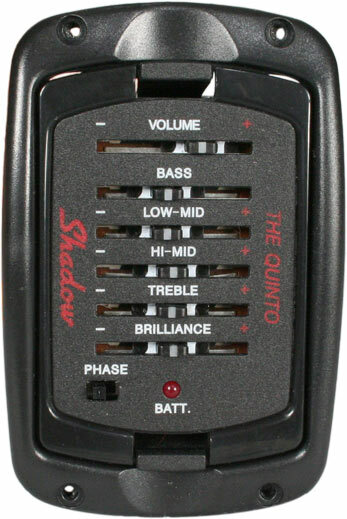 The associated amplifier electronics then, amplify the variations to drive speakers or other circuitry. 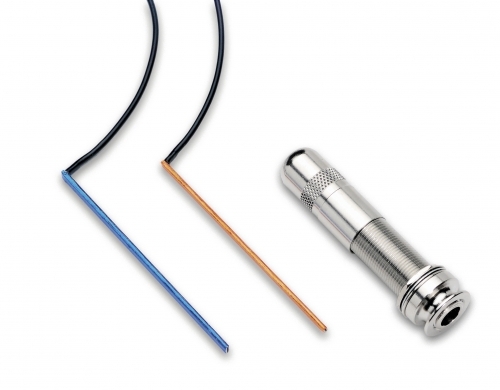 The piezo pickup can be used also in an electric guitar or acoustic steel guitar. For best performance the piezoelectric pickup is mounted in the bridge of the guitar under the saddle where the pressure of each string has more transmission to the piezoelectric pickup. In order to get the best results of those voltage variations generated by the pickup of our guitars the signal is drive to the preamplifier or “preamp”, generally mounted on the side of our guitar. 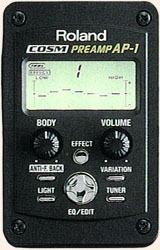 The preamp will give more gain to that signal before to reach the amplifier or sound system. Well, again is a very personal point of view and it depends of the quality of the pickup and the preamp and normally the more you spend in a good amplification system the better it sound. From my experience i can say that the piezoelectric pickup mounted under the saddle is the most convenient solution for stage playing. The signal is clear, punchy and you have a lot of control over it with your preamp but some of the body sound of the guitar is lost in the process. In the other hand if you use a good external microphone playing alone in a classical guitar concert that will get the best and more natural sound of your guitar but if you play in a band or with more people you are likely to have more trouble with your sound (Feedback noise, sound mixed with other people’s instruments, background noise, etc) and to avoid those problems your signal will get lost or your volume will be turn it down by the sound engineer. Same thing applies when you want to record your guitar. The microphone is the best solution for me to get the most natural sound of my guitar but it lacks of punch and gain which is what the piezoelectric system has. What do i do? I use both. I mix the two signals and i get a fantastic guitar sound. Punchy and natural. The good news is that you can have the same system in your guitar. 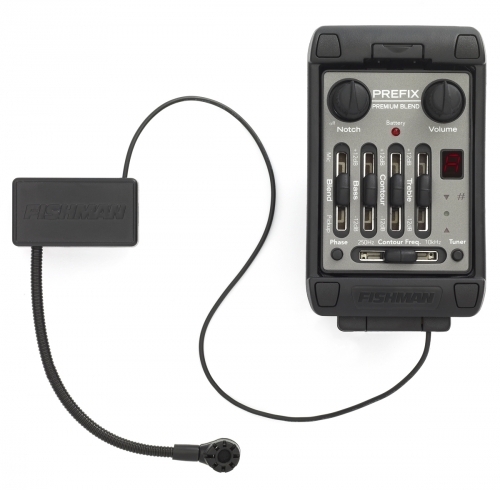 Manufacturers like Fishman are making systems that combine a piezoelectric pickup with an internal gooseneck microphone and you can blend the two signals in the preamp build in at your one taste or your one need. The Fishman Matrix Pro-Blend or the Matrix Premium Blend are good examples and companies like Alhambra Guitars, Raimundo Guitars or Ramirez Guitars install them in some of their guitars. 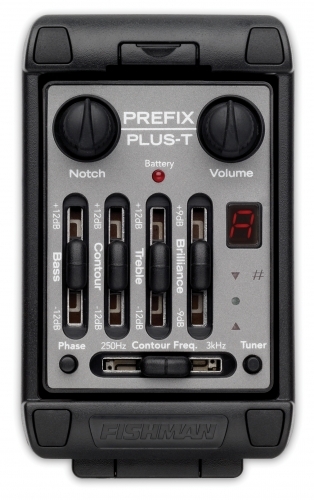 Installation of pickups and preamps can be done at any time in your guitar but it should be done by an expert unless is an external contact type pickup that requires not technical expertise. That is why we recommend to buy a guitar with the electronics build in at factory if you are thinking in amplifying your guitar at some point. 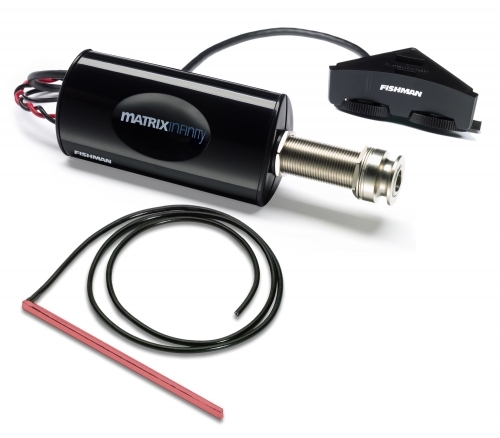 You will save money as the manufacturers get those systems as OEM at a much better price, you will save also on installation by a proper technician and you will be assured that your system will be perfectly adjusted at the building process by expert hands. A quality sound not only depend of the quality of the system installed but of the quality of the installation. 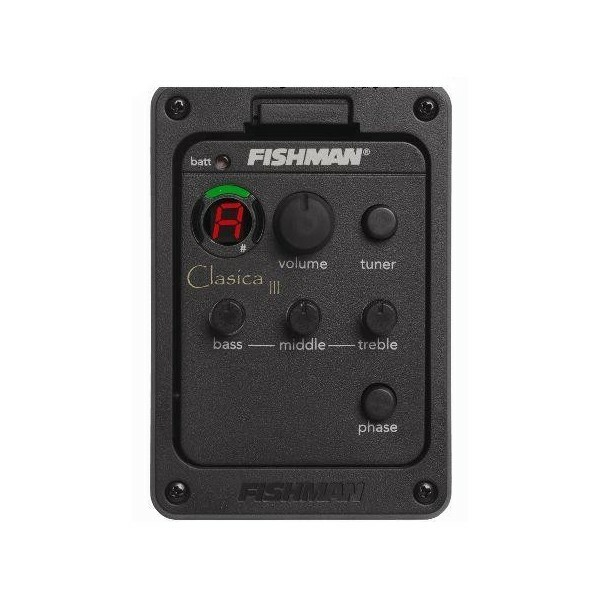 The other day I was testing a Raimundo 120E (Not a very expensive guitar with an standard system from Fishman, the Classic III) and i was amazed by the amplified sound of the guitar. Just because it was mounted out of perfection. I have tried more expensive guitars with more expensive electronic systems that sounded well but didn’t impress me so much. If you are into buying a classical electric guitar or a flamenco electric guitar with a very good sound try to buy it with the electronics build in from factory. Buy a decent hand made guitar from a reputable guitar maker. Make sure the electronics build in come from experienced brands like Fishman, Shadow, Roland, Be-Band, Barcus Berry, Dimarzio, etc. If you budget allows you, get a system that combine Piezoelectric pickup and microphone and of course, before to make any final decision visit www.guitarfromspain.com if you want to find the largest selection of classical, flamenco and acoustic guitars handcrafted in Spain from brands like Alhambra guitars, Raimundo guitars, Ramirez guitars, Admira guitars or Camps guitars at the best possible prices. Posted in Acoustic Guitars, Classical guitars, electro classical guitars, electroacoustic guitars, flamenco electric guitars, Flamenco guitars, guitar, guitar music and tagged Acoustic guitar, Acoustic-electric guitar, alhambra guitar, alhambra guitars uk, alhambra guitars usa, classic electric guitar, classical guitar, Electric guitar, electro classical guitar, electroacoustic guitar, fishman pickups, Flamenco, flamenco electric guitar, flamenco guitar, Guitar, Music, raimundo guitar price, raimundo guitars, ramirez 2ncwe, ramirez 4ncwe, ramirez guitars, ramirez guitars price, roland ap1, spanish guitar. Bookmark the permalink. I haven’t try it my self but I have a very good feedback about the microphone. I know many people that use it and they are very happy with it. Hi, what do you think about the Admira Juanita E Electro-Classical guitar? The Admira Juanita E is an entry level electro classical guitar that for a very inexpensive price will give you a very nice sound and a very good spanish made guitar. There are more expensive models that will give you better sound, but in this price range it is a very good option. Why most classic style guitars with electronics have the cable plug right where the guitar sould be supported on the leg (when playing in typical classical position) (Guitar between the legs and footstool)? It is much safer for the guitar to drill a hole in there because there is a solid pice of wood inside there joining the sides of the guitar. What speakers do you recommend for an electro-classical guitar? I suppose that you refer to acoustic guitar amplifiers. I particularly like the Roland acoustic guitar amplifiers. They have few models that can accommodate your needs in terms of volume and budged. Their sound quality is very good.